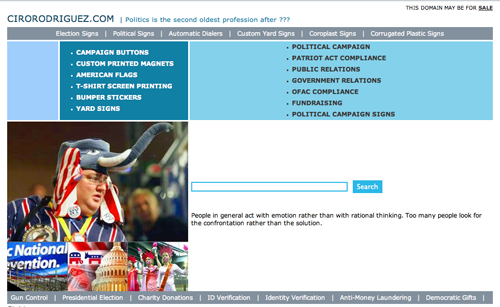 What Happened to Democrat Ciro Rodriguez's Campaign Page? Is Democratic incumbent Ciro Rodriguez so sure he's going to keep his position as Representative of the 23rd Congressional District of Texas that he does not feel the need to renew his campaign website? 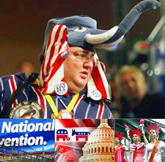 Not only is it nonexistent, but a man wearing a George W. Bush pin and a Republican elephant hat are displayed prominently on the page that cirorodriguez.com directs to. Slightly ironic? Go to cirorodriguez.com and see for yourself!